Every single person at one time in their life has a need. For some, that time is right now. 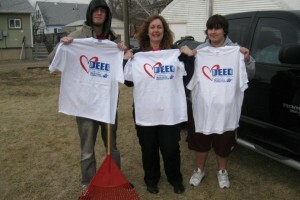 Each of us has the capacity, talent, and ability to help their neighbors in need. Each of us can help, because help comes in many different forms. The first step in helping your neighbor in need is to simply care. Will you help? How about a dime a day? Details about what we consider a need and our approved need categories. Do you know someone in need? Find information on our approved need categories. 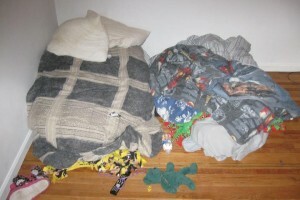 BEFORE: A young child was sleeping in this “nest” on the floor. His mother was unable to afford a bed, so she placed a need request for a bed for her son through My Neighbor in Need. AFTER: A donor provided a nearly new Captain's Bed for the young man. 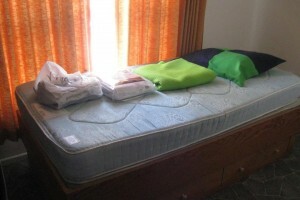 The Donor also provided new sheets, a blanket and pillow! 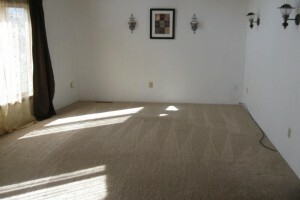 BEFORE: A single mom with four children just moved into her own place and had no furniture. She asked for a couch…. 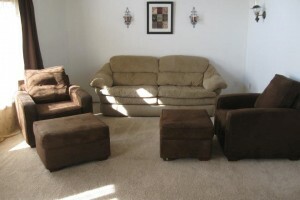 AFTER: What she received was an almost new couch, two recliners and two ottomans. All provided by one anonymous family. 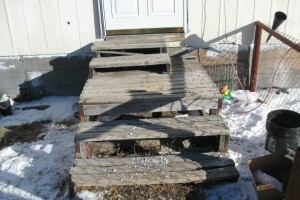 BEFORE: A senior neighbor in need with medical issues, was forced to use these dilapidated steps to enter her mobile home. 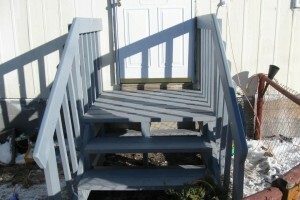 There are no hand rails and the steps were rotten. AFTER: A retired businessman who possesses an amazing wood working talent saw the need on line and offered to build her a new stair system. 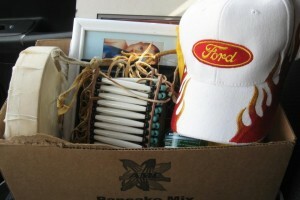 He even donated a large percentage of the materials. 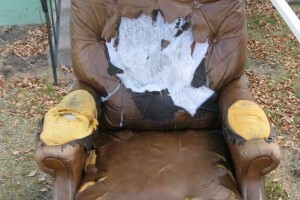 BEFORE: A blind and disabled Veteran had “lived” in this chair for over a decade! His case worker called My Neighbor in Need and asked for help to get him a new chair. 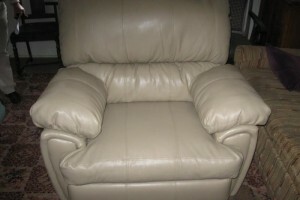 AFTER: Conlin’s Furniture was able to sell us this new recliner at a deeply discounted price of $200. Two kind donors paid $100 each and we delivered the chair to the Veteran. 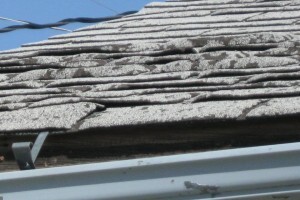 BEFORE: A senior lady on a very low income was in great need of roof repairs. She had multiple leaks and no way to pay for the repairs. 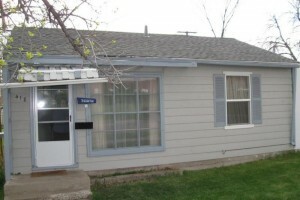 AFTER: My Neighbor in Need reached out and found a roofing company that provided her with a complete new roof for FREE! A senior Native American who had numerous surgeries and knew he was not going to be leaving the hospital, had one last request: to have his personal belongings delivered to his hospital room. God Speed. Cleaning up the yard of a Veteran who served and was injured in Iraq. Because of the Veteran’s injuries, he was unable to maintain his yard and was about to be fined. This family came to his aid and the Veteran was moved to tears.